Allow your time to flow with beauty and grace. 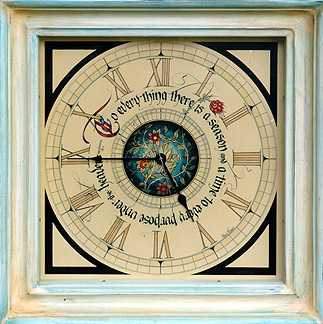 This clock face quotes from Ecclesiastes 3:1, "To everything there is a season and a time to every purpose under the heaven." 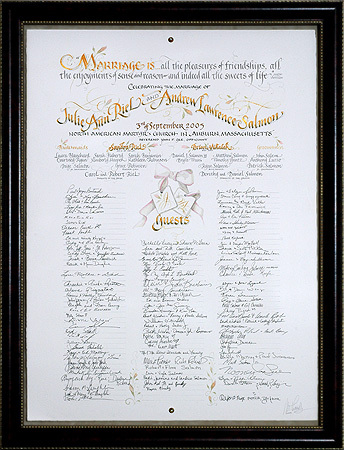 It measures 24 x 24 inches (61 x 61 cm) and is mounted in a deep shadowbox frame. Quoting from Shakespeare's Sonnet V, which begins, "Those hours that with gentle work did frame the lovely gaze where every eye doth dwell . . 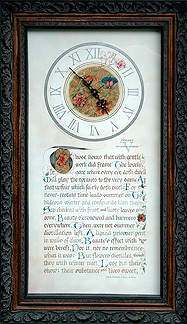 .," this clock measures 16 x 28 inches (40 x 71 cm) in its beautiful antique frame. 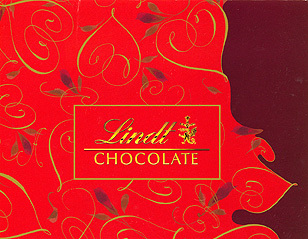 Here is a one of many package designs that Maria created for Lindt Chocolates. 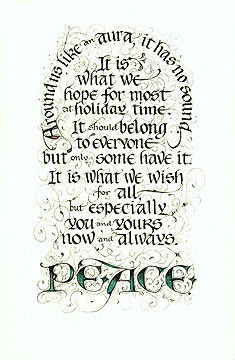 For many years now, Maria has been designing her own series of holiday greeting cards. 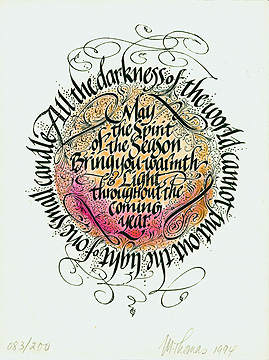 Often Maria's cards will have a play on words or contain some hidden meaning. 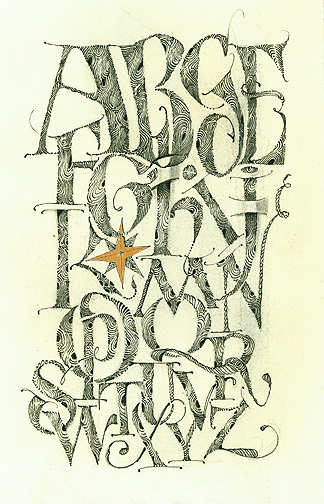 One way to figure out this next card's message is to read it out loud, "A - B - C - D," etc. If you need more help, roll your mouse over this card to see a copy of what was included in a small envelope that was sent with this card. Go to page 1 and page 3 for more of Maria's one-of-a-kind pieces.